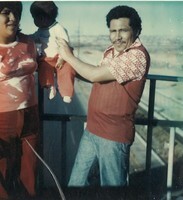 Provide comfort for the family of Rogaciano "Roy" Hernandez with a meaningful gesture of sympathy. 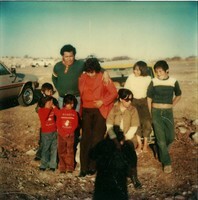 Roy is survived by his 3 daughters, Gloria Angelica Hernandez of Andrews, Velia Ivonne Roman and husband, Lorenzo, of Odessa, and Jacqueline Timmons and husband, Timothy, of Andrews; 1 brother, Ignacio Hernandez and wife, Maria de Jesus, of Chihuahua, Mexico; 10 grandchildren, Ruben Manriquez, Jr. and wife, Thaila, Christopher Manriquez, Lorena Lujan and husband, Raphael, Sr., Liliana Roman, Jazmine Timmons and husband, Nick Trujillo, Dante Timmons, Anthony Roman, Christina Pennman, Janalee Roman, and Ethan Timmons; 7 great grandchildren, Araceli Jaramillo, Raphael Lujan, Jr., Ruben Manriquez, III, Lexi Manriquez, Jay’Dn Lujan, Lionel Ramirez, and Annabelle Manriquez. 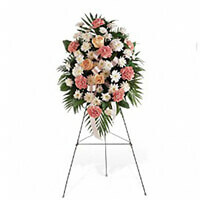 To send flowers in memory of Rogaciano "Roy" Hernandez, please visit our Heartfelt Sympathies Store. Prayer services will be held at 6:00 PM Thursday at Jubilee for Jesus Ministries, 1702 West Broadway, in Andrews with Minister Jesus Renteria officiating. Visitation will be on Friday, February 1, 2019 from 9:00 AM – 1:00 PM at Jubilee for Jesus Ministries, and family and friends will gather to celebrate his life at a funeral service at 1:00 PM Friday at Jubilee for Jesus Ministries with Pastor Flor Uvalle officiating. We encourage you to share your most beloved memories of Rogaciano "Roy" Hernandez here, so that the family and other loved ones can always see it. You can upload cherished photographs, or share your favorite stories, and can even comment on those shared by others. Rigo y Marcos Manriquez sent flowers to the family of Rogaciano "Roy" Hernandez. 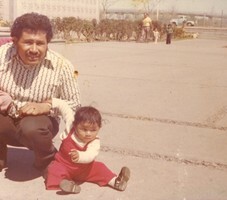 Estimada familia Hernandez, Por favor acepten mi más sentido pésame por la pérdida de su querido Rogaciano. La Biblia nos asegura que en momentos como estos Dios “suministra aguante y consuelo “ (Romanos 15:5). Le animó a que acuda a Jehová Dios y su Palabra para encontrar este aguante y consuelo. ENTRE TUS MANOS ESTÁ MI VIDA SEÑOR!! Rigo y Marcos Manriquez purchased the Gentle Thoughts Spray for the family of Rogaciano "Roy" Hernandez.